German media report a number of wounded at a movie theater in Viernheim. 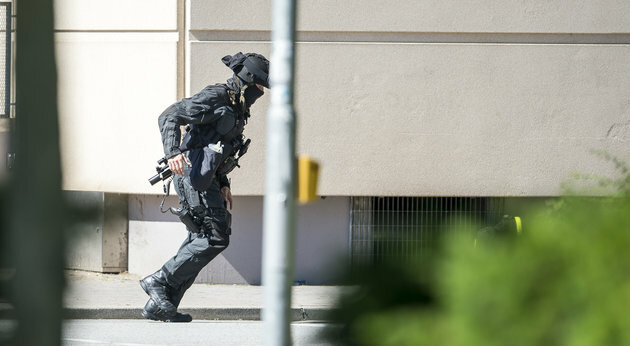 Heavily-armed police stand outside a movie theatre where an armed man has reportedly opened fire on June 23, 2016 in Viernheim, Germany. A masked man with a gun and ammunition belt opened fire in a cinema complex in the small western German town of Viernheim, near Frankfurt, injuring between 20 and 50 people and barricaded himself inside, German media reported on Thursday.